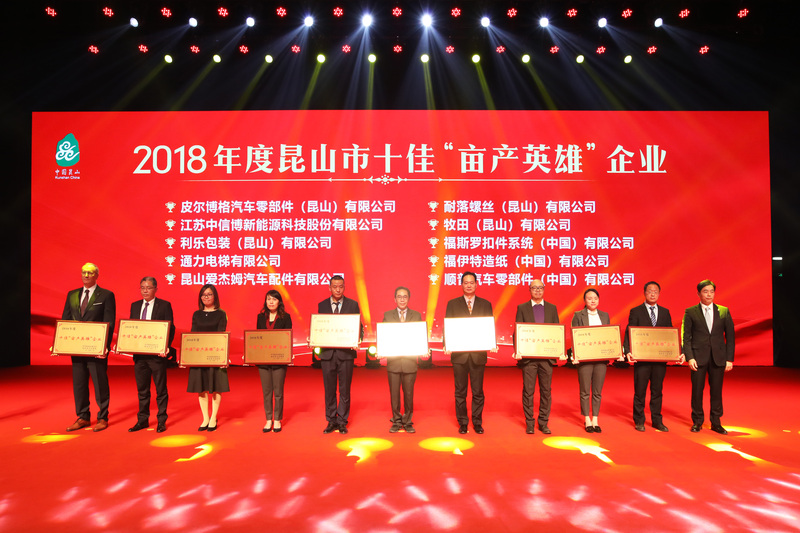 Pierburg China Co., Ltd., a wholly foreign-owned enterprise of Rheinmetall Automotive China, was awarded the honor of “High Unit Productivity Enterprise” and a prize money of 1.2 million RMB by the Kunshan municipal government. Mr. Massimo De Nard, General Manager of Pierburg China, attended the ceremony and received this award. In 2018, the city of Kunshan vigorously implemented the three-year project to accelerate innovation and promote high-quality economic development. The winners of the per capita yields are the comprehensive scores of per unit tax, per unit sales, full labor productivity, R&D in the proportion of sales, increased value in energy consumption per unit, and increased value of major pollutants. The government is promoting the effective use of industrial resources in terms of unit production and innovation. 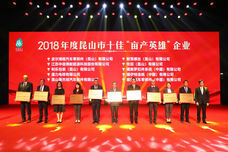 This award from the local government is an encouragement of Pierburg’s operation in Kunshan. Pierburg China, founded in 2009, is the market leader in some segments of automotive components such as EGR valves and has adopted Germany's leading production management, lean production and continuous innovation.